Signature Iron Doors is proficient at designing and crafting timeless iron doors. We carry a broad range of styles and welcome the opportunity to custom build iron doors. 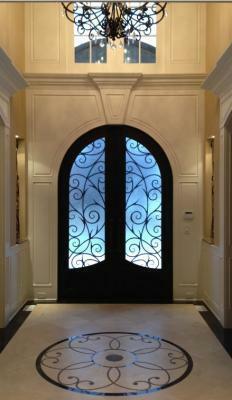 This is a custom built iron door for a client near Long Beach California. Our designers enjoyed the experience collaborating to come up with the perfect design and our customer was delighted with the finished product. All our doors are hand forged and built to endure in grace and stability. Call us to discuss with a sales representative your options for a custom iron entry door in your home.